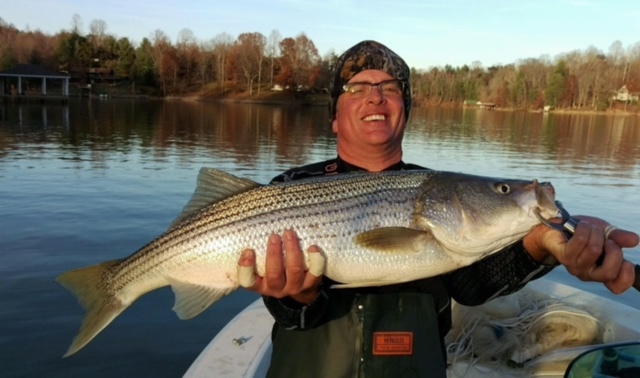 Anthony took some time off and went to Smith Mountain Lake to try out his new boat and tackle some Stripers up in the teens. 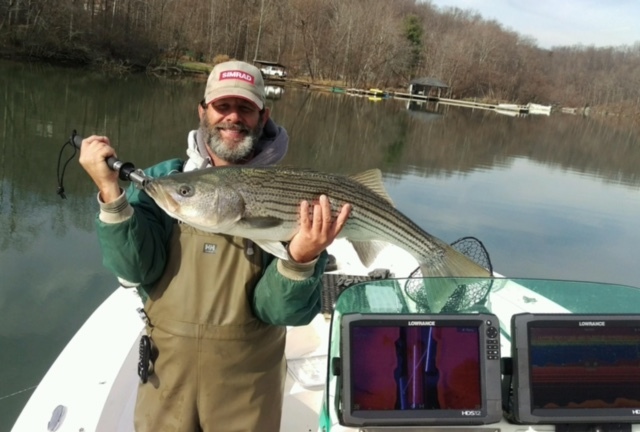 He is holding his fish next to 24 inches of Lowrance up on his dash. He has another 12 up on the bow for catching bait. Poor Boy! Anthony and Jeff holding up a couple they hooked up at the same time., You can see he is pulling boards and covering most of the creek. Jeff holding a couple nice ones.